For the football fans out there, it comes as a pleasant reminder with the come back of college football game day. For farmers and those who work in the field, it comes with the days of harvest. And for students, it comes when everyone hits the books. 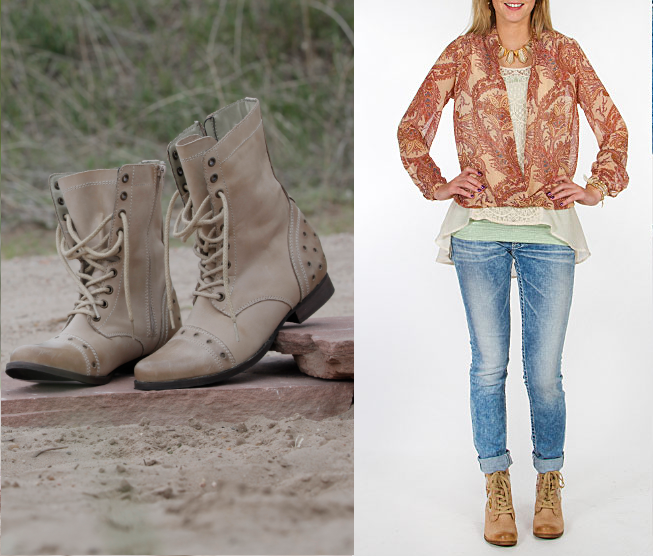 FALL is here and one of our most favorite things to wear during this season (well, really any season) is BOOTS! From heeled boots to riding boots; short to tall boots, combat boots, moto boots, western boots and everything in between – Buckle has a boot to fit your look (or two or three)! Check out our 4 must-have boot styles for fall. Keep in mind that boots are a very versatile footwear piece for your wardrobe – giving you options to cuff, tuck, or roll your favorite denim; or pair with a dress or skirt. 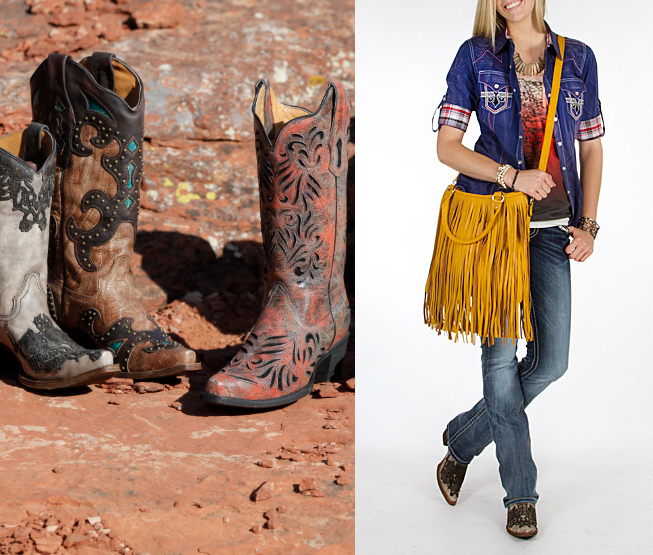 Many of our fashion-forward boot designs are created exclusively for Buckle and loaded with details! Boots truly are the footwear essential for any look this season. Step into a new pair of boots at Buckle – shop one of our over 450 stores, or online at buckle.com. Wear Now and Into Fall: Chiffon!